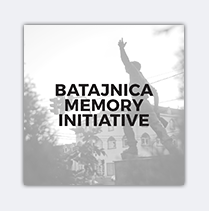 On Saturday, May 27th 2017 the exhibition titled “Targeting monuments-Targeting history and memory” was opened in Belgrade. The exhibition consists of photographs, videos, eyewitness testimonies and documents that speak of the enormous scale of destroyed cultural heritage during the armed conflicts in the former Yugoslavia. 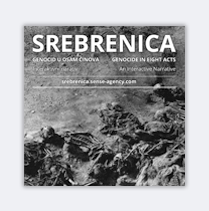 The exhibition is based on the eponymous narrative, which shows how serious crimes against the cultural, historical and religious heritage committed during the wars in Croatia, Bosnia and Herzegovina and Kosovo were investigated, reconstructed and prosecuted before the International Criminal Tribunal for the former Yugoslavia (ICTY). Opening the exhibition Jelena Krstić, from the Humanitarian Law Center, stressed the fact that the reliance on the ICTY established facts limits the view of the destruction of cultural heritage – primarily because such a representation is focused exclusively on the events that ICTY dealt with, but also because priority was given to proving responsibility for the crimes committed against people, which is why the crimes against cultural heritage are often left out and eliminated from indictments. 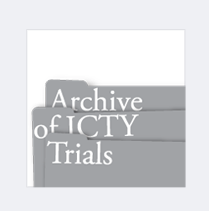 Despite this limitation, by including the destruction of monuments and cultural institutions into its Statute, the ICTY established a precedent which resulted in destructions of cultural heritage during the wars in the former Yugoslavia being declared a violation of the laws and customs of war. 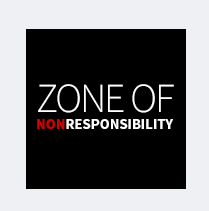 Furthermore, in the case of Kosovo, Bosnia and Herzegovina, and Croatia, these destructions are considered as an act in the service of persecution and ethnic cleansing. 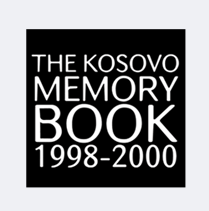 According to the co-author of the narrative on which the exhibition is based, Mina Vidaković, the intention of author in creating this narrative was to avoid the most common consequence of dealing with the war crimes: counting and comparing. 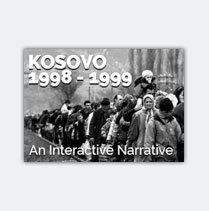 The narrative thus aims to show the suffering, but also the responsibility of all participants in the recent conflicts in the former Yugoslavia. She further added that, in addition to the facts established before the ICTY, the narrative and the exhibition include a display of unprosecuted cases of destruction of cultural heritage. It is especially sad as it shows the scale of destruction that has never been brought before a court. Vidaković emphasized that addressing the dimension of the destruction of antifascist monuments to the exhibition “Targeting monuments – Targeting history and memory“, it supplements this narrative and is representative of a broader context of the past. 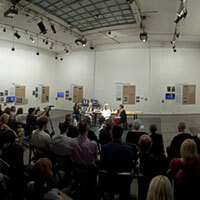 Milena Dragićević Šešić – a professor at the Faculty of Dramatic Arts in the University of Belgrade, and the Head of the UNESCO Chair on Interculturalism, Art Management and Mediation in the Balkans – said that the exhibition reminds us of a time of complete lawlessness and aggressive violence that no one tried to prevent. Every destruction of the cultural heritage contains a clear message to the others that they no longer belong in a given area, as was the case with the destruction of the Islamic and Catholic monuments in Banja Luka (Bosnia and Herzegovina). Some acts of destruction send a message of superiority, as was the case with the destruction of the bridge in Mostar (Bosnia and Herzegovina), which was neither on the border nor did it have a military function as it was a pedestrian bridge. The destruction of Dubrovnik, however, is confusing because in the discourse of Serbian nationalists the town of Dubrovnik, and Dubrovnik literature have been perceived as ours, thus the destruction of something that is recognized as ‘ours’ does not seem logical. Šešić also spoke of one of the first victims of the destruction of Dubrovnik, the poet Milan Milišić, who was part of both Croatian and Serbian literature. The destruction of heritage that is considered to be commonly shared is always motivated by a desire to destroy everything that reminds one of a common past. Ms Dragićević Šešić stressed that the crimes against cultural heritage are continuously conducted even against a groups’ own heritage, whether by destroying or ignoring it. 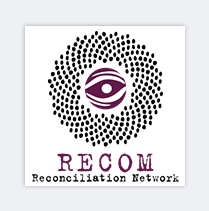 The community itself does not usually involve itself in interpreting and constructing the narratives of memory, rather, these acts are always the result of political interests. Dragićević Šešić pointed out that the policies of repression of memories are a global phenomenon, present and very successful in all communities with uncomfortable pasts. It is therefore necessary to replace the current “policy of shameful oblivion” with very detailed discussions and recognition of the negative past. Exhibitions such as this one contribute to that as they don’t let us forget what we would rather forget, and enable us to open up new the dialogues to move forward. Olga Manojlović Pintar, a historian and senior research fellow at the Institute for Recent History of Serbia, sees the value of the exhibition in trying to establish a principle of culpability. That it shows that the destruction of cultural heritage was not collateral damage, but rather a result of the intention to persecute others from that area to destroy every memory of them and to prevent the return of some future generations. An additional value of the exhibition lies in its success to include some monuments related to the WWII national liberation struggle and period of Yugoslav socialism, and thereby step outside the view of destruction of exclusively religious creations. There is the belief that the destruction of cultural heritage can be used as a tool to convey the message towards an unwanted other, as well as to define and solidify the value system of one’s own nation. This action essentially relegating each nation to live alone in isolation in order to preserve their cultural singularness. It however neglects the regional long standing tradition of a rich historical tapestry of intertwining cultures, where different groups and nations lived along side each other in a pluralistic society. From the way they treat this destruction it is clear that today’s political elites show they are not ready, in practice, to use memory in a practical way aimed at producing a system of cooperation of people in this region. Whereby, current official memory is based on convenient historical falsehoods in which even the legal system becomes subordinate to the false image of the past, with all material evidence proving the contrary having been destroyed. By contrast to the extremely intense destruction of anti-fascist monuments in Croatia, monuments that represent the achievements of socialism and WWII in Serbia have not been systematically destroyed, but rather, they have been displaced and forgotten. Testimony to the relationship with these monuments are private initiatives of family members who have tried to shelter the busts and commemorative plates dedicated to members of their families in order to save them from destruction. It is because the issue of destruction of this cultural heritage has received the last place on the list of current interests and has also been tacitly approved, today we live in “the culture of death“, that recognizes only its dead. 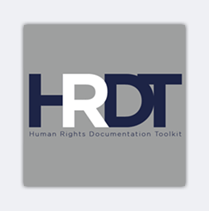 Center for Transitional Justice, which makes these facts publicly available. It now up to us to decide whether or not we want to know that fact. Milena Dragićević Šešić emphasized that this lack of knowledge is the cause of very emotional reactions, and is the basis for misunderstanding others. It is therefore possible that today the majority of citizens believe that Serbia has never had any imperial tendencies, and that it has always only led only liberation wars. What is happening is a “prescribed oblivion“ in which we all feel like victims, and that history has it all nicely described. However, we have to find a way for that knowledge to reach “the national consciousness“, including through school curricula, television shows and series. She also emphasizes that it is essential to include the community in the process of erecting a monument, because that builds a different relationship towards the monuments and what they represent. 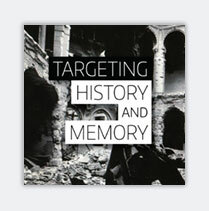 The exhibition “Targeting monuments-Targeting history and memory“ is the result of an idea of the NGO SENSE-Center for Transitional Justice from Pula, that was implemented in cooperation with the Documenta-Center for Dealing with the Past (Croatia), Humanitarian Law Center (Serbia), Historical Museum of Bosnia and Herzegovina and Europa Nostra (the Netherlands). Prominent war photographers, numerous archival and museum institutions and renowned international experts on cultural heritage Helen Walasek, Andras Riedlmayer and Colin Kaiser participated in the setting and implementation of this exhibition. The curator of the exhibition is Branka Benčić from Croatia. The preparation and holding of the exhibition was supported by the EU, through the program „Europe for Citizens“. The exhibition is staged at the Center for Cultural Decontamination in Belgrade until June 12th 2017. Olga Manojlović Pintar , a historian and senior research fellow at the Institute for Recent History of Serbia, sees the value of the exhibition in trying to establish a principle of culpability. That it shows that the destruction of cultural heritage was not collateral damage, but rather a result of the intention to persecute others from that area to destroy every memory of them and to prevent the return of some future generations. An additional value of the exhibition lies in its success to include some monuments related to the WWII national liberation struggle and period of Yugoslav socialism, and thereby step outside the view of destruction of exclusively religious creations.